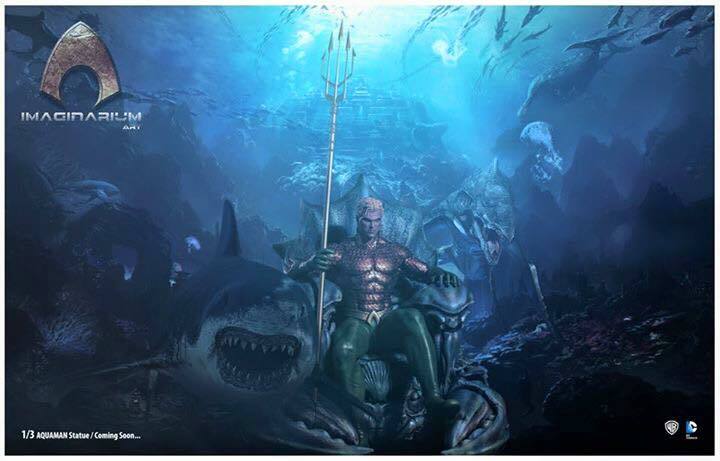 This is just a quick post to show the update shoots for the Imaginarium Art (IA) Aquaman, due for release in February 2016. Radd Titan was very lucky to be able to review a prototype of this piece a few weeks back and here are the latest photographs from the factory of progress of the production piece. Here is the latest art poster for Aquaman which was produced by Azad Karahan and he did some great work on this. Here are the images and a few short videos of the work going on in the factory. Imaginarium Art carrying out their boxing and packaging tests. Imaginarium Art’s close ups on faces and eyes. Radd Titan will update you with any of the latest progresses on this project for Imaginarium Art.